Quantum of Solace James Bond descends into mystery as he tries to stop a mysterious organization from eliminating a country's most valuable resource. Max Manus: Man of War Max Manus is a Norwegian 2008 biographic war film based on the real events of the life of resistance fighter Max Manus (1914–96), after his contribution in the Winter War against the Soviet Union. The story follows Manus through the outbreak of World War II in Norway until peacetime in 1945. Breathless Sang-hoon is a lowlife gangster, a debt collector exercising thuggish ways to collect his money. The recipient of nothing but anger since his childhood, he expresses himself through violence. When he finally encounters someone who can stand up to him, feisty school-girl Yoon-hee they become unlikely friends. 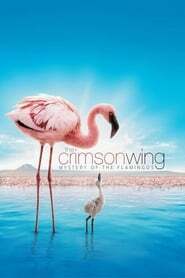 The Crimson Wing: Mystery of the Flamingos In the remote and forgotten wilderness of Lake Natron, in northern Tanzania, one of nature's last great mysteries unfolds: the birth, life and death of a million crimson-winged flamingos. 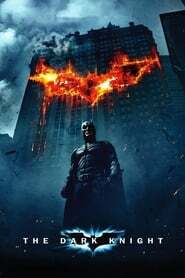 Batman: Gotham Knight Explore Bruce Wayne's transition from his beginning as a tormented vigilantee to The Dark Knight of a crumbling metropolis with six distinct chapters but intended to be viewed as a whole. Role Models Wild behavior forces a pair of energy drink reps to enroll in a Big Brother program. Hellboy II: The Golden Army The mythical world starts a rebellion against humanity in order to rule the Earth, so Hellboy and his team must save the world from the rebellious creatures. Nights in Rodanthe Two unhappy people's lives become entwined when they have a life changing romance. Adrienne is a woman who's trying to decide whether to stay in her unhappy marriage or not. Her life changes when Paul, a doctor who is traveling to reconcile with his estranged son, checks into an inn in a North Carolina beach town where she is staying.